Fifth Harmony (headliner) with Jacob Whitesides, Jasmine V and Mahogany Lox. Fifth Harmony’s debut EP Better Together, which was released October 22, 2013, skyrocketed to #2 on iTunes and now officially lands the group their first TOP TEN album, which debuted at #6 on the Billboard Top 200 Chart. Featuring five brand new songs and their smash hit “Miss Movin’ On”; it’s a diverse, dynamic, and delightful introduction to America’s only teen pop female vocal group. The girls just announced that their first single off their EP is “Don’t Want To Dance Alone”, an upbeat, party tune that will make everyone want to get onto the dance floor. Fifth Harmony was discovered by Simon Cowell! 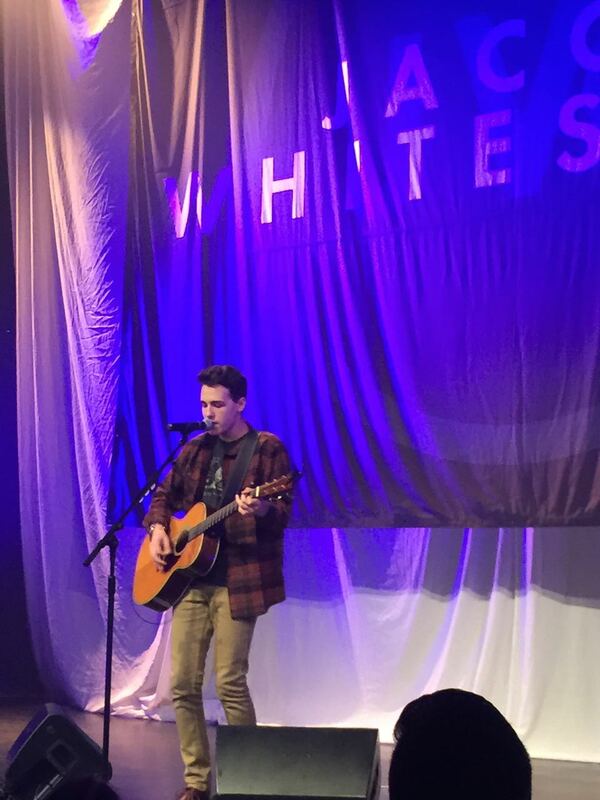 Seventeen year-old singer/songwriter Jacob Whitesides shot into the iTunes Top 10 the week after the Grammy Awards, peaking at #5 on the Top Albums chart and #1 on the Singer/Songwriter chart upon releasing his first EP of original songs, A Piece Of Me, at midnight February 14, 2015 and keeping those chart positions for three days. The impact was felt internationally as well reaching #4 in Portugal, Top 40 in UK and Top 10 in Canada. 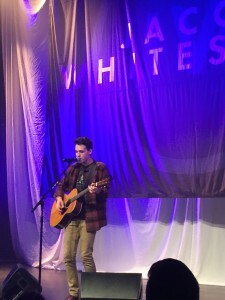 Whitesides is an artist who has built a following entirely on his own, and is deeply routed in his connection with his ever-growing international fan base. That fan base has skyrocketed to almost 1.5 million Twitter followers, increasing by roughly 20,0000 per week, almost 1.3 million Facebook likes, almost 900,000 Instagram fans, almost 700,000 Vine subscribers and over 11 million views on YouTube. VEVO premiered his lyric video for the song “Not My Type At All”. Watch it HERE. The song has also been playing on SiriusXM’s premiere channel for singer/songwriters, The Coffee House. Whitesides released his six-song EP through his own JW Records label. The EP showcases his songwriting and musical depth through the five original tracks he co-wrote, “Billboard (If I’m Honest)’” “Let’s Be Birds,” “Rumors,” “Ohio,” “Not My Type At All” along with, “Words,” which was released last November.